There are many ruins for sale in Portugal especially up north and in the Alentejo, which stretches from the north of the Algarve until it reaches south of the Tejo river in Lisbon. The reason seems to be that these areas which were once occupied by the older generations particularly for livestock or agricultural production have over the latter years been abandoned. Many of the ruins for sale in Portugal are available because the younger generations have turned away from the country life and been lured by the larger cities and the opportunities which in turn has let many of the properties fall into a state of disrepair. Around fifty percent of the ruins for sale in Portugal are purchased by foreign residents, many of whom seem to prefer to work on their properties themselves either when visiting the country whilst they are on vacation or over a number of years by living on the property with the aid of a caravan or mobile home. Nowadays, it is relatively inexpensive to have a borehole on your property which will supply adequate water and at the same time set up wind or solar power for energy generation along with a back-up generator. 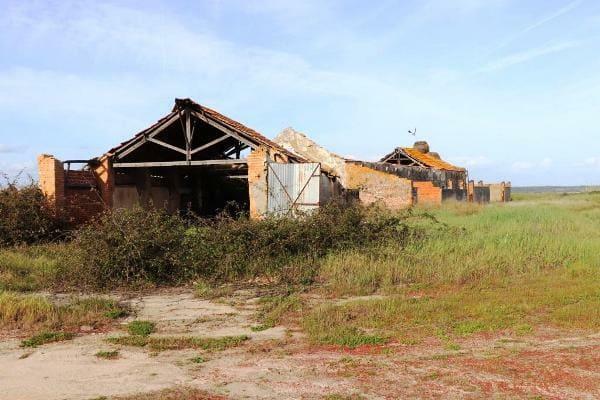 You can find many ruins for sale in Portugal with prices generally ranging between twenty and one hundred thousand Euros with many of the properties, having sufficient land to enable a sustainable way of life. If you are searching for a ruin or property to fix-up in Portugal, simply complete the form below with as much infomation as possible and we will let you know what we have been able to find.